With 2019 just around the corner, you may be wondering how to best invest your money come the new year. There are a plethora of different ways in which you can invest money in this day and age, but which ones are really worth it? 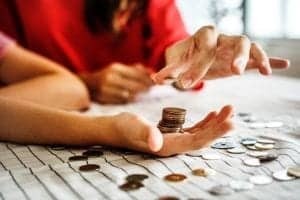 It’s understandable that you want to get the best return from your hard earned money, so we’ve come up with some clever ways on investing your money that will bring you a great return in 2019. If you’re looking for an investment that doesn’t take up practically any of your time and is super easy to do, then peer to peer (P2P) lending is the perfect solution for you. This is where you lend your money out in small amounts to individuals. Basically, you’re a little bit like a bank, only you’re the one reaping in the benefits here. With P2P lending you make money through the interest you charge for repayments of the money that you’ve lent out. Just remember to be smart and use a lending platform such as lending club to ensure that your money is safe and that you’re going to get the return you’re after. Sure, the platform you use will take a cut, but you’ll still make a very tidy profit. With the population growing by the second, there’s always going to be a need for properties all over the world, and that’s why property investment will always be a sound one. The secret to making as much money as possible from your property investment is to spend more. It may sound backhanded, but if you were to rent out an apartment from an award winning developer, you’re going to be able to charge much more than if you were to buy a property in a small suburban town. Spending more = making more in the long run, so keep that in mind if you’re choosing to invest your money into property. Investing into the world of business is another way to make a significant amount of profit from your hard earned money. It’s always a good idea to invest in a business that you believe will work. Perhaps you know of a business that’s got a great premise, but is struggling to get off the ground? Investing in it will help the idea you love get to where it needs to be as well as bringing home a tidy profit! Alternatively, maybe you’ve got a business venture idea tucked up your sleeve? If you’ve got the money to invest into it, why not launch your own business for a fantastic way of using your money, and a fabulous way of making plenty of profit in the future? As you can see, these three investments will bring you an incredible return. Not only that, all three of them involve your money going to good use and helping people in some way. Which one will you choose to invest your money into?